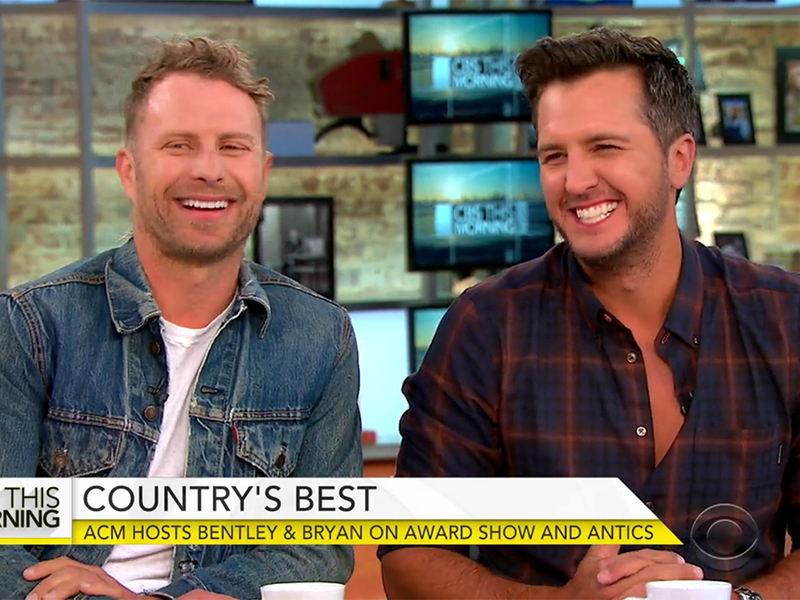 Luke Bryan and Dierks Bentley are making the media rounds as they prepare to host the 52nd Annual Academy of Country Music Awards on Sunday, April 2 in Las Vegas. The duo sat down with CBS This Morning today (March 29), to give a preview of the show. When asked by the show’s co-host, Gayle King, if the two were worried about a mishap similar to what occurred at the Oscars—when Faye Dunaway announced the wrong winner for Best Movie—Dierks and Luke revealed their own mishap from last year’s show. “We had a series of six country music artists that were supposed to have a speaking role in the audience,” Luke continued. “Someone jumped the gun a little bit, so we were kind of flying by the seat of our pants,” added Dierks. “When we realized that somebody—and it wasn’t one of the artists—a camera guy missed his cue, just because there were a lot of moving parts, Dierks and I were like, ‘Umm OK, this is changing on the fly,'” recalled Luke. 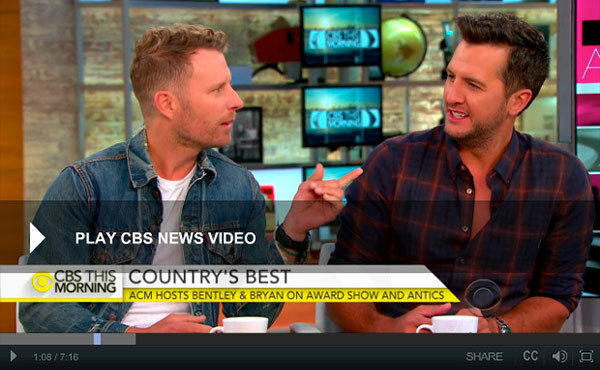 Watch Luke and Dierks preview the ACM Awards on CBS This Morning.